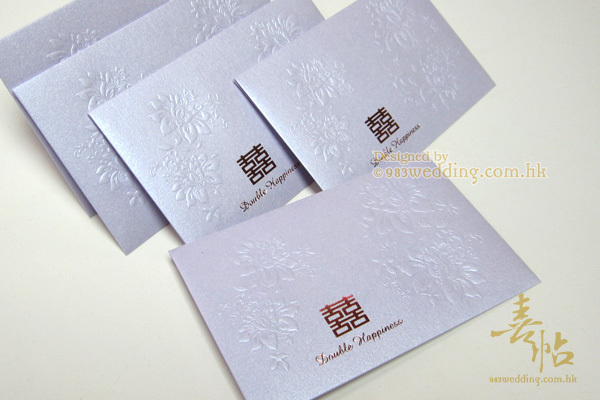 Usually, red packets, or Lai See Envelopes, will be needed when you are going to have a Chinese wedding. You do not only have to use them on your wedding day, but also with the wedding invitations. 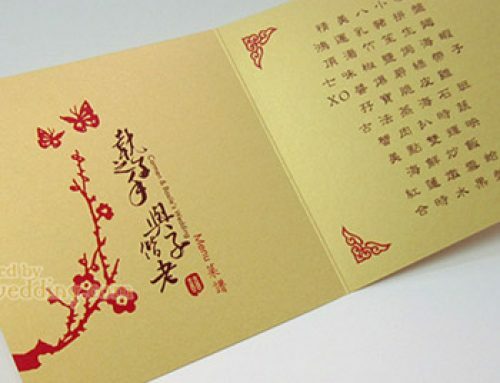 It is a Chinese custom to put send a red pocket along with the invitation to a guest. Here, the question is what type of red pocket design you should go for if you have decided to have a more western style wedding invitation. It would be nice if the Red pocket design matches the design or style of your wedding invitations. It will be perfect if there can be a fusion between Chinese & Western style. Of course, a red packet is something Chinese. It is part of Chinese tradition. The idea here is that this envelope does not have to be red in color. You do not have to choose something which is totally traditional, at least in term of color and design. 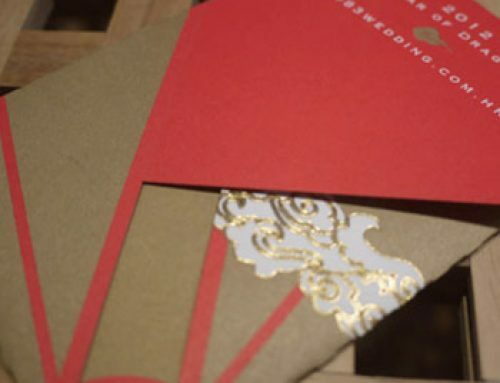 You may not want to have a red color Lai See envelope if you are not going to have a gold or red color wedding invitation. As a matter of fact, it is very popular for brides and grooms to choose wedding cards which are off-white or purple in color. We have created two Lai See envelope designs in order to cater for these choices of invitations. As per the colors of these envelope designs, they are in pearlized off-white and purple. 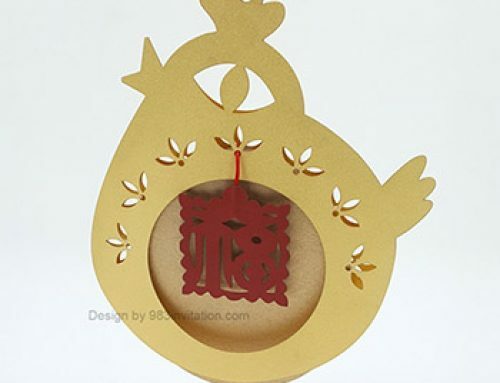 These two designs will certainly suit couples who are going to have modern Chinese or even western-style wedding invitations without any red color. 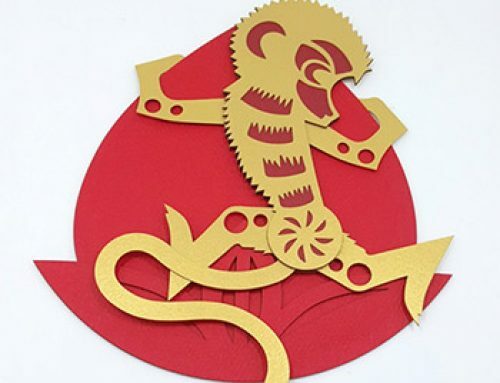 Although red color is used when we design these red pockets or Lai See Envelopes, the design of them is of modern Chinese style. Red pockets are something very Chinese at the end of the day. This is why we opt for the idea of creating a modern Chinese style red packet. Beautiful peony patterns are printed on the envelopes. Yet, they are not print with ink. 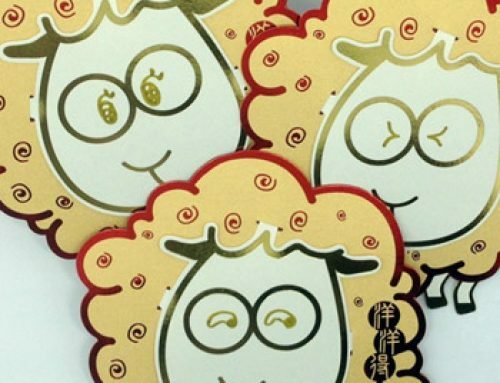 Instead, they are printed with embossing method. A raised effect will be seen on the envelopes. 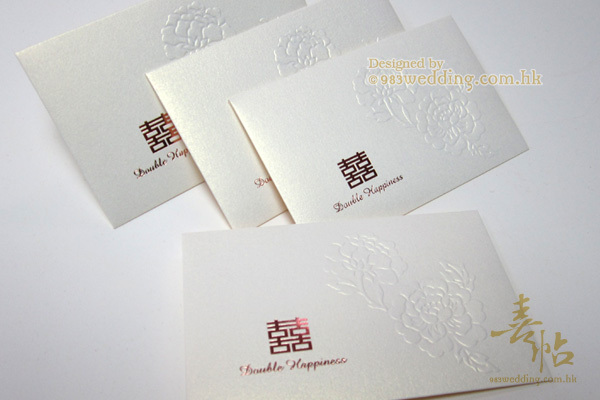 At the same time, a double happiness symbol is printed with champagne gold color foil. This will keep the idea of being modern Chinese while it will not be too traditional!